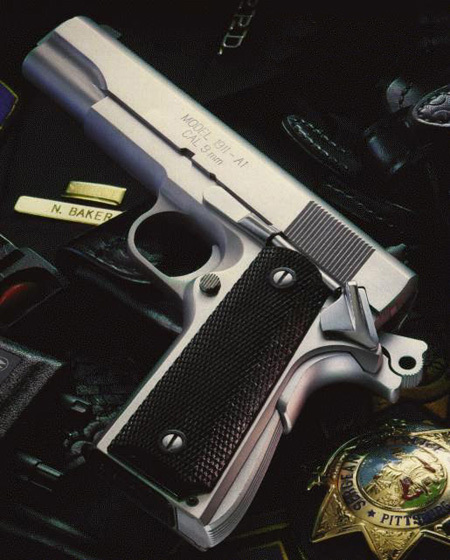 This Stainless Springfield is a reproduction of the M1911A1 made by Colt for the US military. It is laying on top of various police gear, suggesting that law enforcement carry the 1911 pistols made by Springfield Armory. This Stainless Springfield is not an exact M1911A1 reproduction, as it has a tritium front sight so the officer can punch 1/2″ holes in thieves and other cretins.